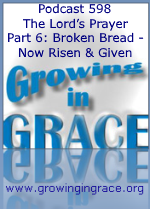 Following up on Jesus as the Bread of Life that came from heaven… The bread (His body) had been broken, as symbolized during The Last Supper, but the Bread was also risen with a new body, and raised us with Him. Some assume The Lord’s Prayer is a model for us today and that it encourages us to ask God to meet our daily needs of food, drink, etc. However, shortly after providing this prayer to His disciples, Jesus told them not to worry about such things nor to seek after them, as non-Jewish people would do. God knows we need food and clothes! Instead, it would become their mission to seek the Kingdom of God, and the gift of His righteousness. 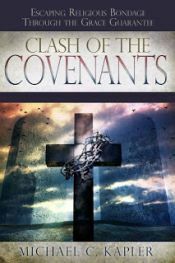 As believers in a New Covenant, we no longer seek the kingdom and His righteousness, because we have received them through Christ, who now abides in us, and we in Him.